Standing Order for Troopers of the 11th Armored Cavalry Regiment in Vietnam issued by its commander, Col. George S. Patton. Col. George S. Patton is the son of the famous W.W.II general, Gen. George S. Patton, Jr. Colonel Patton was born Georges S. Patton, IV but legally changed his name and dropped the roman numerals. Col. Patton was born December 24, 1923. He retired as Maj. General. 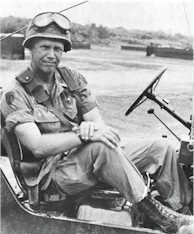 Col. Patton took command of the 11th Armored Cavalry Regiment on July 15, 1968. He was the regiment's 39th commander. I had the pleasure of meeting "Blackhorse Six" on three separate occasions. The first meeting is the one that stands out in my mind most vividly. It was on the occasion of his first visit to K Troop while the troop was on field operations. Word came to our Troop Commander, Capt. John Longhouser that the colonel would be visiting us in the field and would have lunch with us. Capt. Longhouser wanted to make a good impression on the colonel so he order us to "break out" the officer's mess kit. A kit, I might add, that dated back to the First World War. It contained a service of 8 and was made of tin. We worked all morning to clean and polish the kit's utensils. When Col. Patton came through the chow line, Capt. Longhouser introduced us and then proceeded to hand Col. Patton a plate and cup from the officer's mess kit. "Oh no," said the colonel. "I'll eat off of the paper plates just like the men". 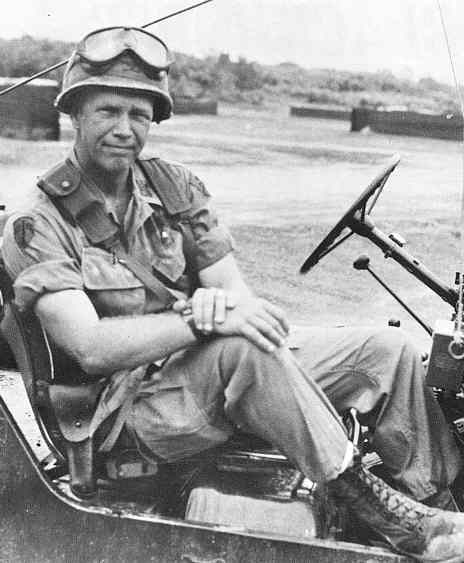 Maj. Gen. Patton retired from the Army in 1980 and retired to his home in Hamilton, Massachusetts. He died from complications of Parkinson's Disease on Sunday, June 27, 2004. His funeral was held on July 7, 2004. His remains are to be intered in Arlington National Cemetery, August 27, 2004 at 11:00 A.M. Arlington National Cemetery 703-607-8000. I attended the General's funeral. Read my account here. Hamilton Wenahm Chroncile Obituary - Gen. Patton's Hometown Newspaper. Gen. Patton's remains were interned Aug. 27, 2004 at Arlington National Cemetery. See the photos submitted by John Van Nus here. An excellent book about the general is: "The Fighting Pattons" Brian M. Sobel. Forward by Maj. Gen. George S. Patton, USA Retired. Praeger Publishers, 88 Post Road West, Westport, CT 06881. 248 pages; photographs; selected bibliography; index; $49.95. Robert Patton has written a book titled The Pattons, A Personal History of an American Family. This paperback sells for $21.95 - ISN 1574881272.